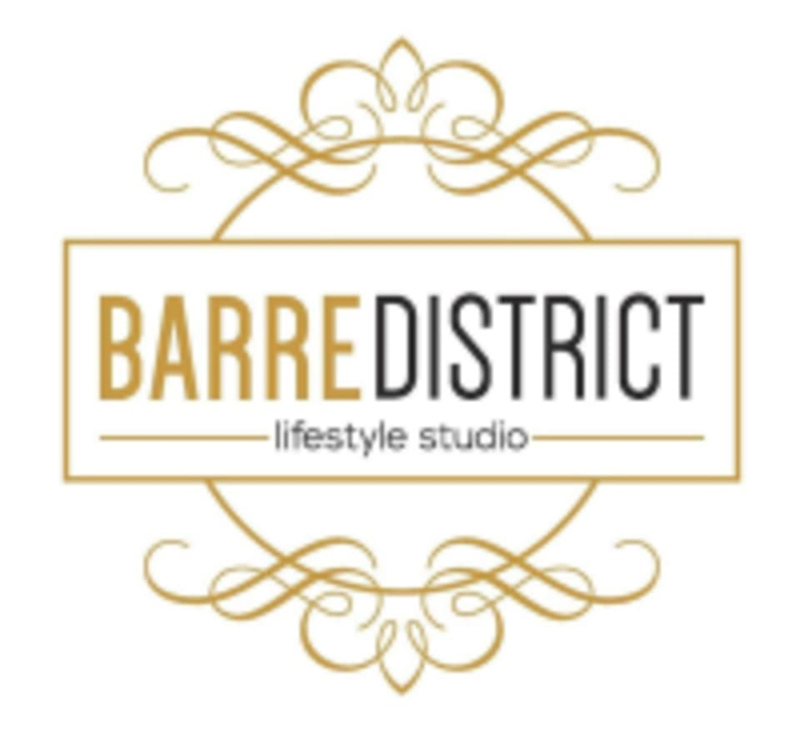 Barre District is a lifestyle fitness studio specializing in Barre and Barre hybrid classes that utilize movements and positions from dance, pilates, yoga and functional strength training with a focus on optimal alignment and posture to improve balance, coordination, stability, strength, and overall function. Based off of techniques from the original Lotte Berk method, a Barre District class will tone and elongate muscles, increase flexibility, and strengthen you both physically and mentally. Wear whatever you are comfortable in to move, bend and stretch! Leggings are a great option. All Barre District studios require that you wear socks (regular or grip). It is also recommended that you drink water throughout your workout so bring a water bottle. A mat and all workout equipment are provided for you in the studio. Grip socks, bottled water, and other merchandise are sold in the studio. Instructors offer modifications and advancements to accomodate all fitness levels. Please arrive at least 10 minutes early for your first class. Barre District Menomonee Falls is located in The Woodlands Market Shopping Center on the NorthWest corner of Appleton and Good Hope. We are neighbors with Ally's Bistro, A Better Me Spa, and Three Cellars. Loved this class! Challenging workout, great music, and instructor was energizing! Thanks for the feedback and glad you enjoyed the workout!